This article contains a guide on how to max out the Strength Confidant. The Strength Confidant, Caroline and Justine have similar requests of that from the Empress , Margaret in Persona 4. You'll have to do a lot of fusions. 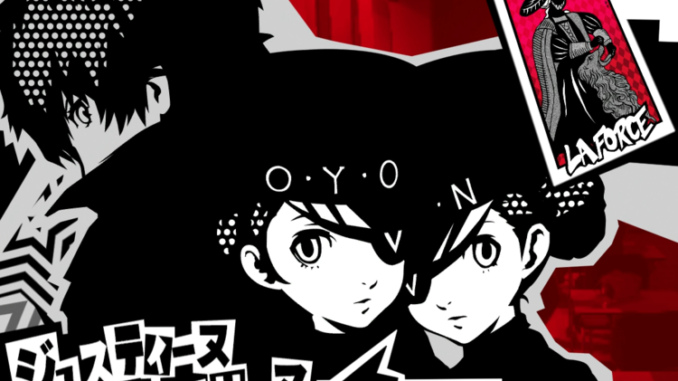 Similar to Persona 4’s Margaret for the Empress Arcana, the Strength Arcana requires you to perform certain requests from the twins. Because of this, there is no time limit. There are no constraints save for maybe the events that have to be completed. In fact, you can complete it all on the same day it starts or you can finish it on the final playable day. Any Persona that you encounter in a Palace can later be found in Mementos. You can also fuse them depending on what you have in your compendium. Click here to see the full list of Confidants in Persona 5, as well as how to max out each of their Social Links. The social confidant unlocks at 5/18 when the Twins make their first request. After you max them out, you can finally unlock Zaou-Gongen. 1 Group Guillotine Can now use up to 3 Persona for a fusion. This can create a powerful Persona. 3 Isolation Sentencing You can subject a Persona to isolation imprisonment to acquire resistances. 5 Guillotine Booster You obtain additional group guillotine fusions. 8 Special Isolation Cell Resist skills you learn in the Isolation Cell become stronger. 10 Special Treatment By paying additional money you can fuse personas above MC’s level. Rank 1: Jack Frost with Mabufu This is the first request you receive. If you want to complete this, fuse Silky (Priestess) x Eligor (Emperor). After that, level up Jack Frost. He will learn Mabufu at level 12. Rank 2: Shiisa with Frei If you want to make Shiisa with Frei, you can use Jack Frost as a fusion material. But make sure you also use Makami that already has Frei. Rank 3: Matador with Magaru For Matador, use Obariyon (Fool) and Nekomata (Magician). One of them should at least have the Magaru skill. Rank 4: Flauros with Tarukaja Berith (Hierophant) x Andras (Devil) x Eligor (Emperor). Make sure either one of them has Tarukaja. Rank 5: Ame no Uzume with Dodge Psy Kin-ki (Chariot) learns Dodge Psy at level 27. Best part is, Clotho learns Tetraja at level 27 which you can pass to Lachesis easily. Hariti (Empress) x Pixie (Lovers) x Pisaca (Death) – inherit Samarecarm. Rank 10: Seth with High Counter This skill can be earned as a skill card from Mementos mission acquired on 10/14 – “The Killer who takes out the Trash” (Rank B). Use skill card on Seth after fused.Or: (Credits to Minmo)For the rank 10 request, you can fuse Cerberus. It learns High Counter at lvl 57. Fuse then with Horus to get a Skadi with High Counter. Then, fuse the Skadi with a Silky to get an Isis with High Counter. Probably because you have the DLC or it’s a bug. Impossible! It was doing the same to me, too! If you have Ariadne, fuse her with Regent to get Lachesis. You can also use Clotho and Stone of Scone. However, this may get a bit grindy unless you have the Fortune Arcana unlocked. Clotho learns Tetraja at level 27 which can be passed to Lachesis when fusing her with Stone of Scone. Oh….. Right. Sorry,I was confused. This site can be a stroll-by way of for the entire info you wished about this and didn’t know who to ask. Glimpse here, and you’ll definitely discover it. For the rank 10 request, you can fuse Cerberus, which learns High Counter at lvl 57, with Horus to get a Skadi with High Counter. Then, fuse the Skadi with a Silky to get an Isis with High Counter. how to fuse this haritu?